If you’ve been reading my blog over the past few months you saw me get pissed that the signatures for Washington’s Referendum 71, putting domestic partner benefits up for a vote, were not going to be released (“Anonymous People Don’t Get Free Speech (Ref. 71)“). Then, I delighted in hearing that the Washington State Public Disclosure Commission had decided that the donor information would not be exempt from public disclosure (“Washington State Keeps Public Speech Public (Ref. 71)“). Then, I unabashedly accused U.S. District Judge Benjamin Settle of being a fascist for a ruling again “protecting” the signatures from being released (“Right To Secretly Create Legal Discrimination Preserved (Ref. 71)“). Washington’s secretary of state can release the names and addresses of people who signed petitions calling for a public vote on the state’s expanded benefits for domestic partners, a federal appeals court said today. This is great news. I don’t think I need to reiterate all my arguments on this issue. I’m just relieved to see that transparency is being returned to the legislative process regarding this important issue. “These petitions are not like a secret ballot, but amount to taking part in our legislative process, which is required to be open and accountable,” Secretary of State Sam Reed said. Right on. And what was it that influenced the appeals panel to make this decision? In its brief order, the three-judge appeals panel said Settle used the wrong legal standard in granting the preliminary injunction that barred release of the petitions, and that the injunction therefore must be reversed. I love it. They didn’t say they disagreed with Settle; they said he was wrong. Hopefully this sets a precedence for the future. You can’t legislate discrimination without taking responsibility for your actions! 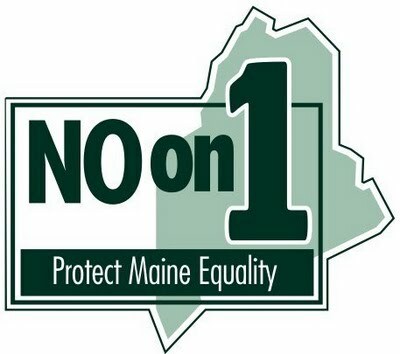 Do what you can to support the Approve Referendum 71 Movement in Washington as well as the No on 1 Movement in Maine! Time is short and our rights are on the line! There are 4 Comments to "Sunshine Restored To Washington State (Ref. 71)"
Wow. I’m liibertarian minded and so my first inclination is to vote to protect civil unions, but this desire to intimidate and persecute those who disagree goes equally against my principles. You’ve succeeded in making me hesitate to support your cause…. Carol, if you’ll forgive me for saying so, I think you misunderstood my point and intention. I, by no means, favor or promote “intimidation” or “persecution.” What I do promote is raising awareness and open government. If a group of people want to make decisions that affect other people, they should be identifiable and accountable. When a small group has the power to get a referendum on the ballot, we should be able to see who those people are so we can respond to their efforts accordingly. Keep in mind that for those of us for whom this law would actually affect, our lives and liberties are on the line. And Referendum 71 isn’t even civil unions, it’s just domestic partnerships with marriage-like benefits. Even if it passes, there still won’t be equality. It’s not just about “disagreeing,” it’s about maintaining some semblance of respect for who we are in society. To sign a public legal document and expect to not have to be accountable for it is pretentious at best and fascist at worse. Like Zack said, this isn’t about “intimidation and persecution” at all. In fact, this has to do with one of the most basic libertarian principles – voting with your dollars. It’s a lot like the Cinemark boycott that a lot of people in the LGBT community took part in back when Milk came out – word had just come out that Cinemark’s CEO had made massive contributions to the prop 8 campaign. So, people decided that they wouldn’t use their money towards Cinemark, if that’s where it was going to go. This is one of the most fundamental actions of the invisible hand of the marketplace, and one of the economic factors we actually agree on. In fact, libertarians should be particularly quick to support freedom-of-information regarding these signatures; otherwise, you have the coercive hand of the state hiding this information and thus inhibiting the free market. I also wonder: why are you so quick to wrongly assume the worst here? What made you jump so quickly to “intimidation and persecution”?